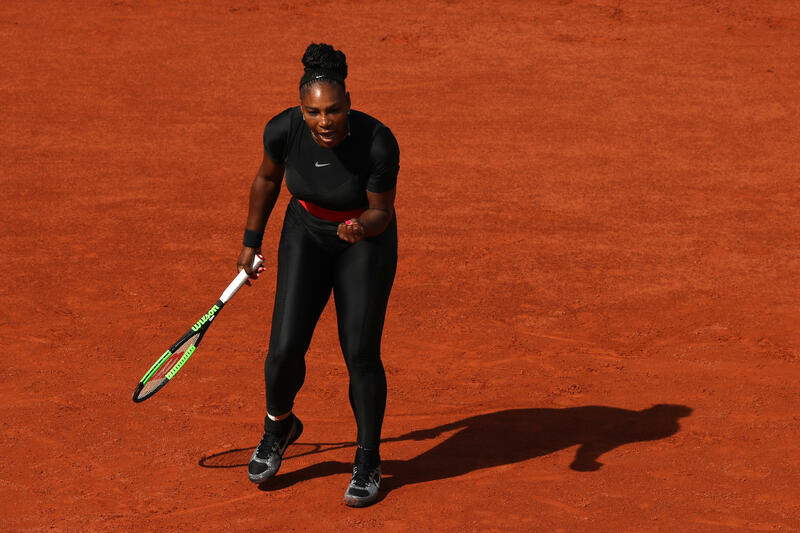 Serena Williams won't be allowed to wear her skin-tight, "Black Panther-inspired" black catsuit at the French Open again, a new report says. Williams turned heads at the 2018 tournament earlier this summer by wearing the outfit in her first major competition after giving birth. But in a new interview, the president of the French Tennis Association's president tells Tennis Magazine that the tournament will now have a dress code because he believes "sometimes we've gone too far." Bernard Giudicelli singled out Williams' bodysuit, explaining that it "will no longer be accepted," according to the Associated Press. "One must respect the game and the place," Giudicelli said, adding that while the French Open will "impose certain limits," its rules won't be as strict as Wimbledon's — where players must wear all white. Williams, who has won at Roland Garros three times, told the BBC that the catsuit made her feel like a "superhero" during her 7-6 (7-4) 6-4 win over Kristyna Pliskova in May. She even dedicated the fashion choice to "all the moms out there who had a tough recovery from pregnancy." "I feel like a warrior wearing it, a queen from Wakanda maybe," she said. "I'm always living in a fantasy world. I always wanted to be a superhero, and it's kind of my way of being a superhero." "It's a fun suit, but it's also functional so I'm able to play without any problems," she told the BBC. Williams suffered potentially life-threatening blood clots after giving birth to her daughter, Alexis Olympia, in September 2017. She returned to the tennis court just six months later, and was back in Grand Slam shape by the time the French Open began in May. A lot of uniforms for the 2019 French Open have already been designed, but Giudicelli said tournament officials will ask designers if they can review them ahead of time.